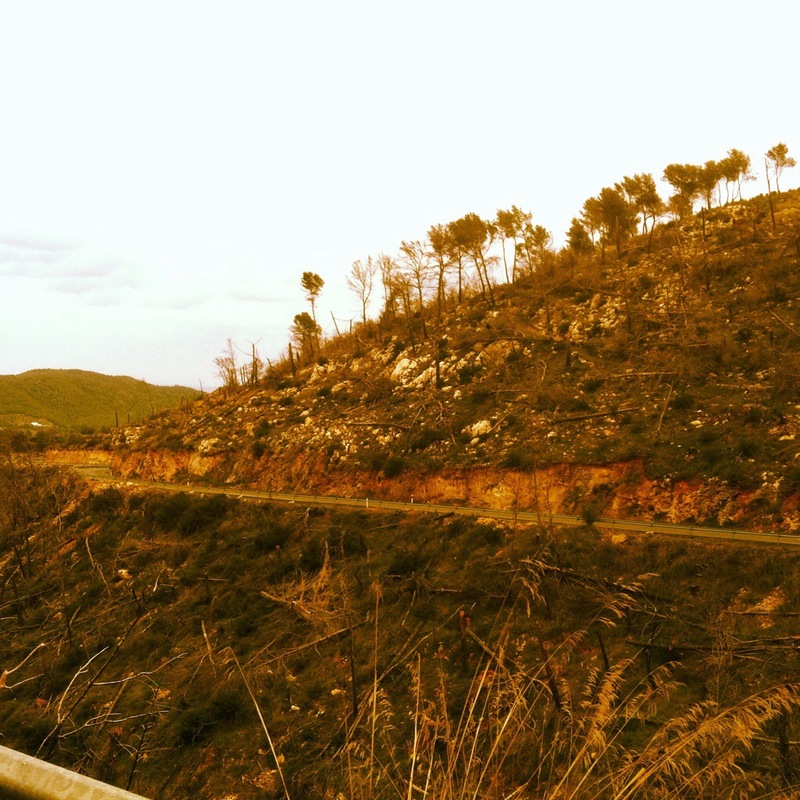 Many people associate Ibiza with sun, sea, sand and super clubs, but we had heard a little secret about the white isle…that the road cycling there was fantastic! We decided a week away in the sun was in order, not only to recharge after a tough winter of cycling in ski kit, but also to try and kick start our training for transcontinental and the tour de Mont Blanc. 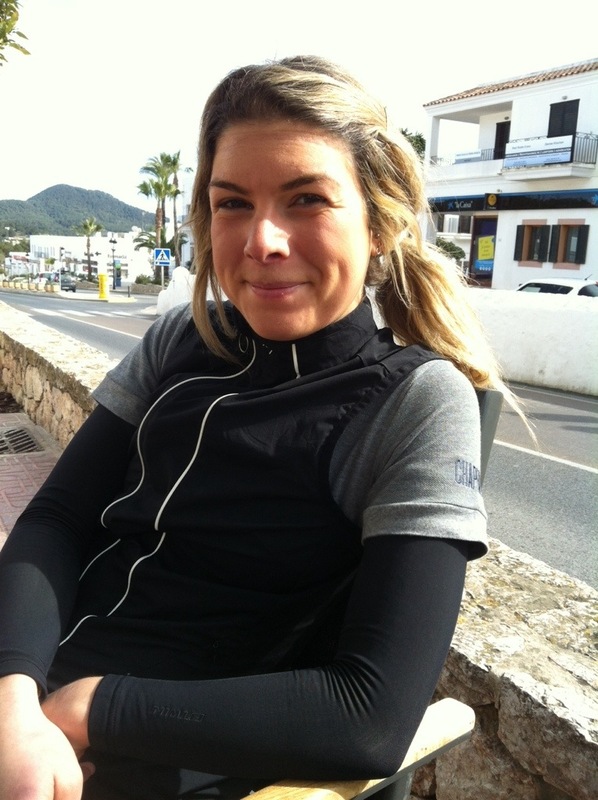 The plane touched down yesterday at 10am and we were met with a massive smile and warm handshake by Simon from VeloClubIbiza. He was someone that we had been in contact with via twitter and had sorted us out with some perfect accommodation overlooking the sea and harbor, with plenty of space for bikes. We unpacked our steads from their boxes straight away and checked nothing had been smashed to pieces on the flight…lucky this time. Kit on and out the door! Simon as well as being our liaison on the island had also offered to take us riding, where he could to show us some Gems that most people would miss when they come out. After 5 minutes of cycling we were deep in the hills and well away from any cars or lorries on perfectly smooth Tarmac undulating and weaving through orange trees and white villas. 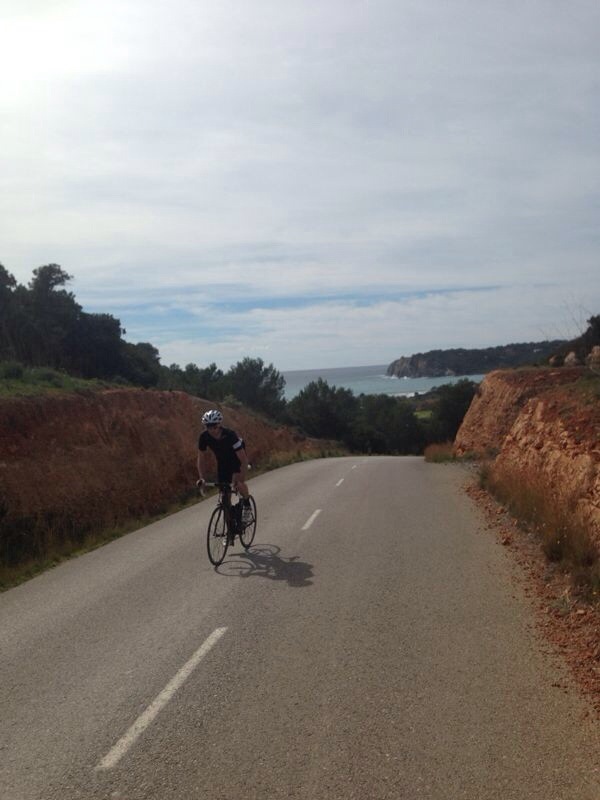 There were some beautiful climbs and stunning cliff top roads all totally deserted and in beautiful condition. I can honestly say this was one of the best rides I had ever been on and it was just the first day. This ‘warm up ride’ turned into a very fast 80km around the island with over 1000m climbing, done in just under 3hours. Our second day started with the sun illuminating our room and reminding us that even though it is early march, ibiza can get very warm. 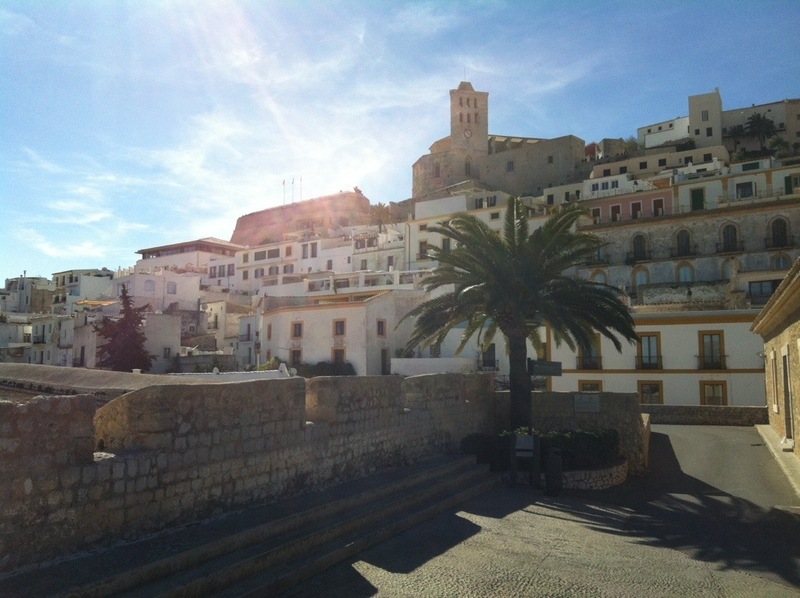 We donned our shorts and jerseys and got out the door as fast as possible to grab some coffee and food in Ibiza old town. We heard that there was a ‘festival’ on in town to celebrate the start of spring. It truly was a site to behold! 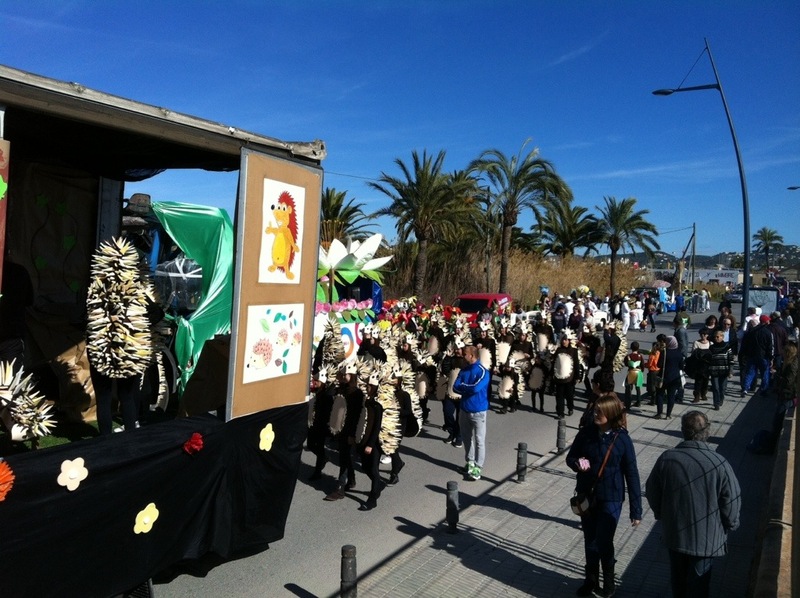 All of the central roads around the port were blocked by police and children of all ages and adults were parading through town on a huge range of floats playing music and dancing all around. What a beautiful way to start spring. 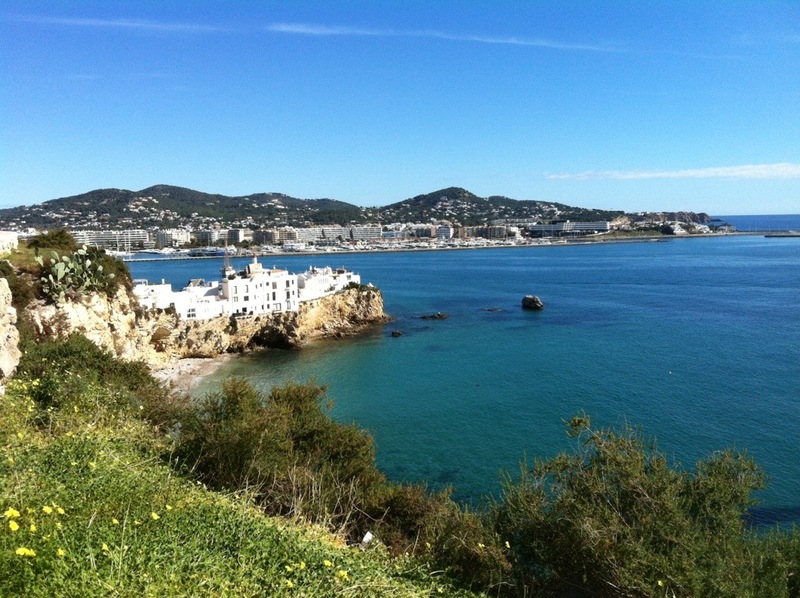 Right above us was the old town, perched high on the cliff tops over looking the sea and the turquoise water. Some very steep and cobbled roads led us right to the battlements surrounding the highest points and gave us our first proper look out of Ibiza and it’s main town. 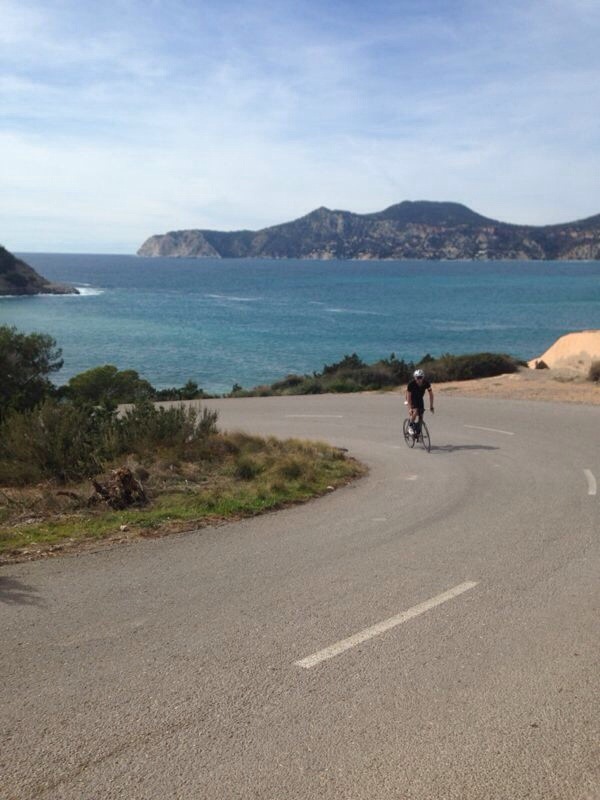 After a quick coffee and serano ham sandwich we pedaled off to explore the deserted costal roads and stunning views. It was already lunch time and showing 25degrees Celsius on my garmin. For me this is a perfect riding temperature, hot enough for summer clothes and shoes, but not so hot to be drinking water by the gallon to hydrate from sweating. We found some gorgeous secluded beaches and coves that we will go back and explore later in the week. Today was simply a stretch of our legs and a ride to explore the south west part of the island and to get our bearings. We can’t wait for some bigger, longer, higher and faster rides in the area. 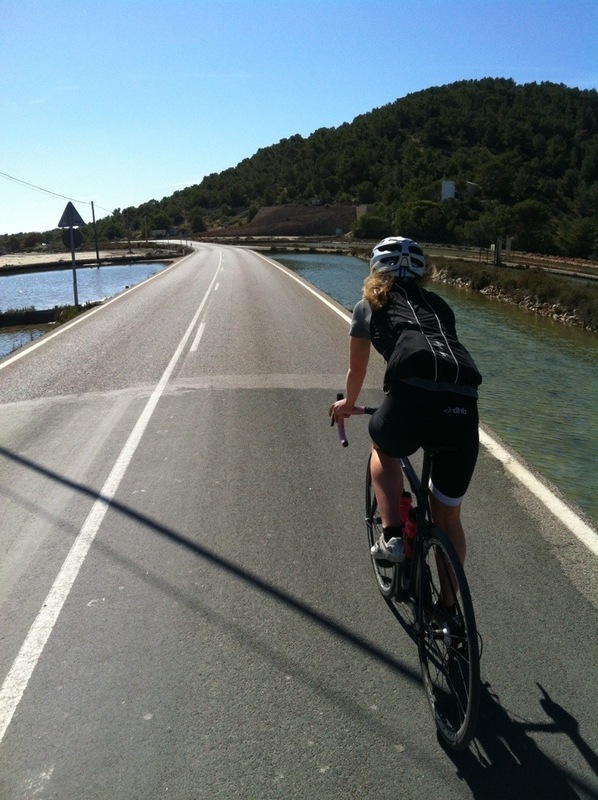 So far Ibiza has blown me away; warm, sunny, empty roads, friendly locals and challenging rides what more do you want? 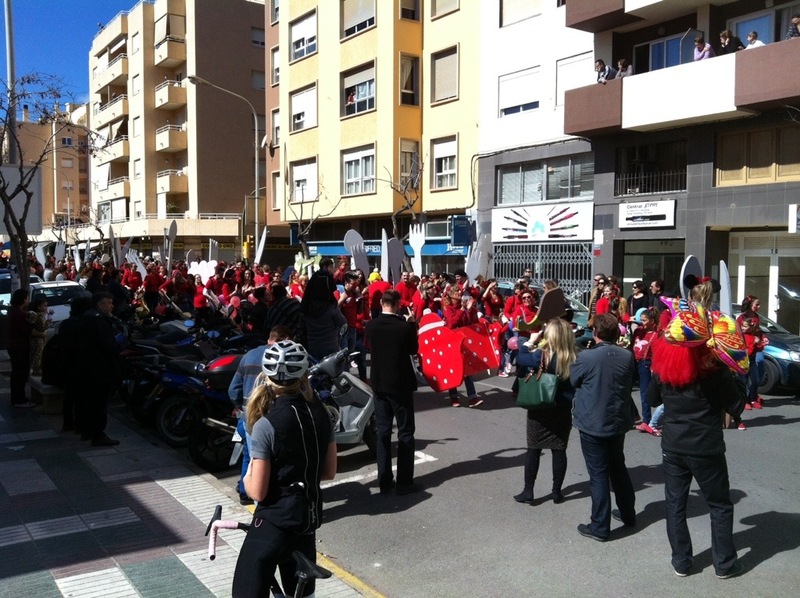 …now into town for tapas, cerveza and a little festival! 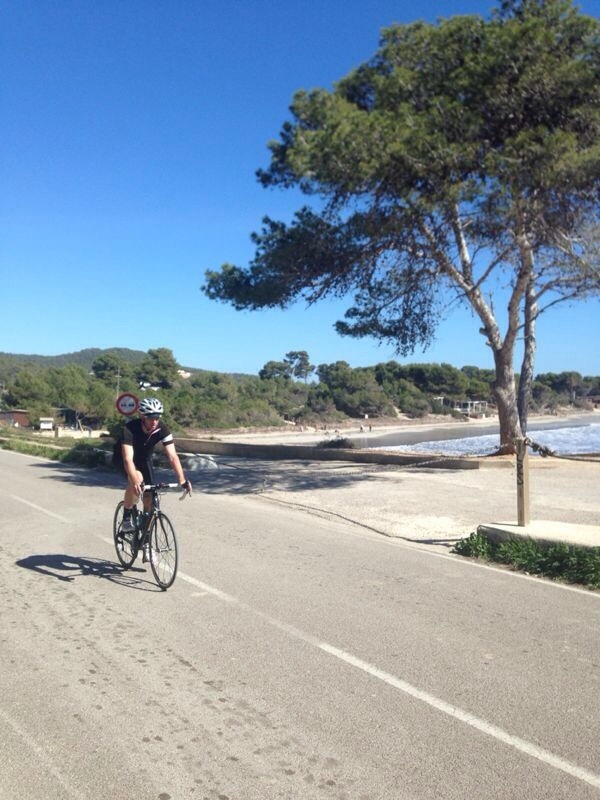 This entry was posted in Uncategorized and tagged beach, bikes, Cycling, ibiza, winter by nowhereadventures. Bookmark the permalink. Very gud piece. Like the North West of Scotland, but wevver a little better – I want to go ! Jst about to collect a Beacon BF100 meself from Whalley, which may be christened at Applecross at Easter. 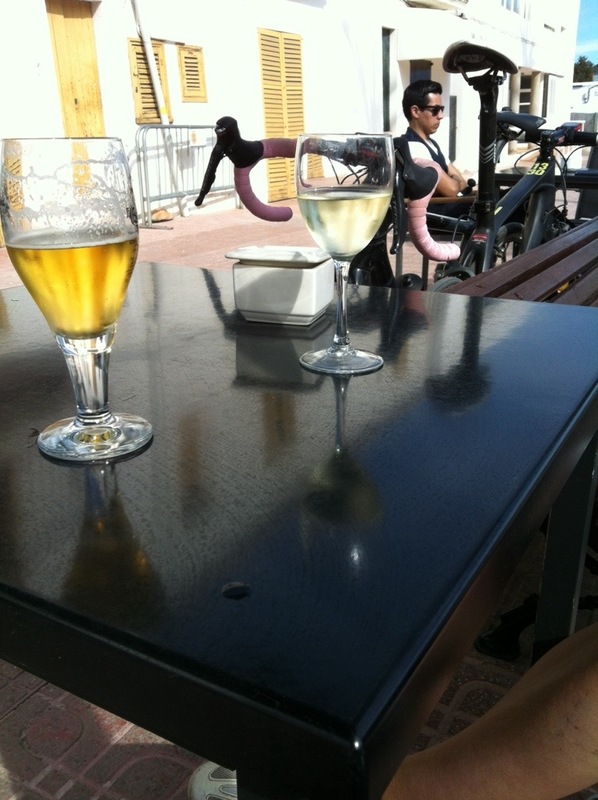 Lik the pink H/Bar tape BTW.